The growth of print-on-demand services has made it possible for entrepreneurs to quickly start T-shirt businesses. The costs to buy stock and the need for expensive equipment have been reduced, so anyone can create a design and start selling. The accessibility of the business means competition can be tough, but there are still plenty of ways to carve out your own path. While most people won’t build empires from these types of business, they can be largely automated and offer an entry point into e-commerce. 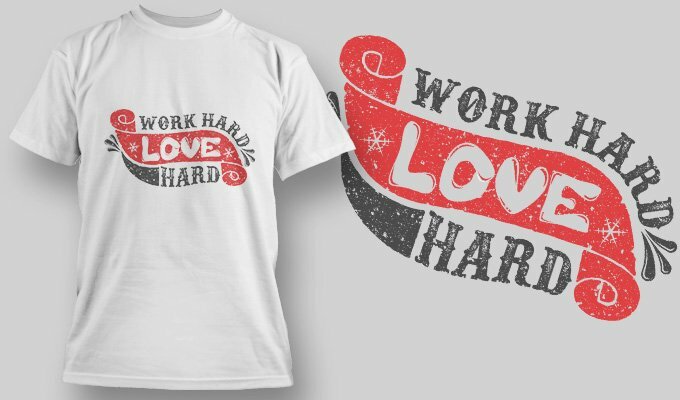 The following method can be used to start a T-shirt business and quickly start promoting your designs. The level of competition and the low barriers to entry mean you should avoid being too generic. There are plenty of outlets selling a huge range of designs, so you need to build an identifiable brand. Some examples of niches include comedy slogans, motivation, locations, and cartoon characters. Ideally, your store will become known as the place for people interested in a certain niche. Also, look through the various trademark databases to ensure you don’t put your business at risk by infringing any copyrights. The approach you take to designing T-shirts will vary depending on your skill level. If you have experience as a graphic designer, you may choose to create the designs yourself but if you are not we have over 1300 t-shirt designs in our library. It is important that the T-shirts look good and stand out, but they don’t need to be overly complicated or intricate. A simple slogan, for example, will look good with an attractive color scheme and font. An alternative method is to outsource the designs to graphic designers. You can find an affordable and talented designers you can potentially work with them on an ongoing basis. There are enough e-commerce solutions available, so you don’t need to develop anything new for your business. Shopify is probably the most recognized option, with the ability to choose a design, add products, and start selling straight away. You can also integrate with various apps, take payments, and use their storage and hosting solutions. Alternative options include WooCommerce, BigCommerce, Magento, and Big Cartel. Most sellers won’t be looking to invest in printing equipment, choosing to use a print-on-demand service. After customers place orders, you send the details to your chosen service and they print and ship the item. Some examples of these services include Printful, Printify, Merchify, Teelaunch, and Teemill. Using one of these services does leave much of your reputation in the hands of another company, but you can research them to find someone you are comfortable with. If you can’t drive a consistent flow of visitors, it will be impossible to make the business work. The most effective way to drive traffic is to pay for advertising, with Facebook proving to be the best current platform. As margins will be fairly slim, it is important to track and optimize campaigns to ensure you can make a profit. Additionally, it is important to build a social media following as you can build relationships and get repeat buyers. If you work diligently, it is possible to set up a store in a matter of days. Many aspiring entrepreneurs are held back in the planning and development stages, but a T-shirt business won’t need an excessive pre-launch phase. All of the elements are accessible and affordable, including store platforms, print-on-demand services, and payment processing. Finding your own niche can help you make a mark, with the best businesses able to develop their own brands. You may eventually decide to move into other e-commerce businesses, but a T-shirt store can be the perfect way to get started.